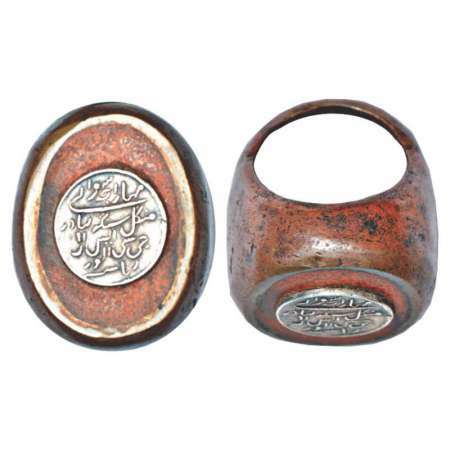 Alwar, copper / brass finger ring, with silver bezel inscribed with legend Maharaja Sawai Mangal Singh Bahadur Jee. See. Es. 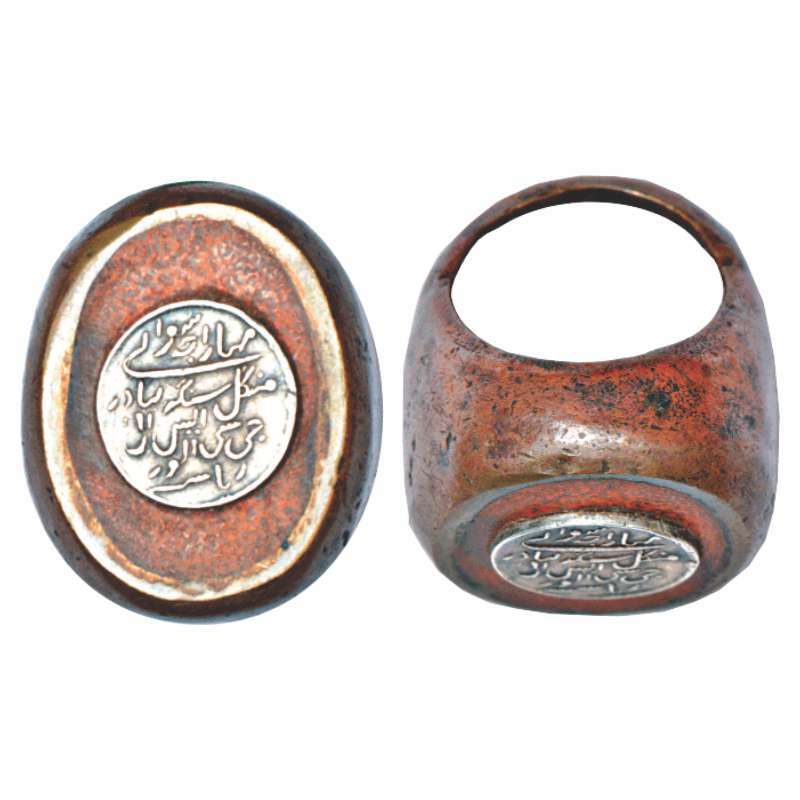 Aai Riyasat Alwar, width 27.36mm, height 32.99mm, weight 66.06g. Maharaja Mangal Singh II (1874-1892), was a minor when he succeeded to the throne of Alwar State. The State continued to be administered by the Political Agent and the Council of Regency till December, 1877 when he was invested with ruling powers. The hereditary title of Maharaja was bestowed on him in the year 1889. 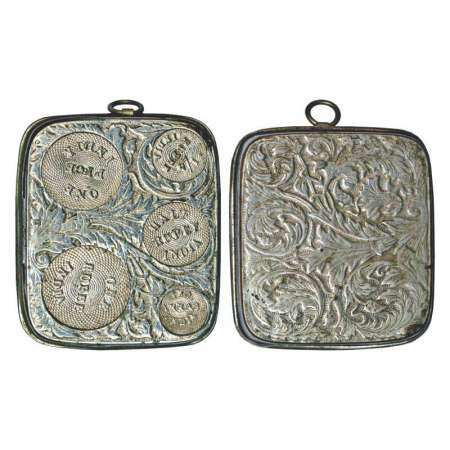 In 1877, he entered into a contract with the British Government under the Native Coinage Act of 1876 according to which silver coins of Alwar state were to be manufactured and supplied by the Calcutta Mint. He was given the title of 'GCSI' (Knight Grand Commander of the Order of Star of India) on 1st January 1886. As the title is mentioned on this ring, it must have been made sometimes between 1886, and the Maharaja's death in 1892. It is possible that it belonged to one of his personal service staff. British India, brass/nickel box of British era, for saving coins of 1 rupee, ½ rupee, ¼ rupee, 2 annas and 1 pice, 48.39g. Made in England.